Keep your clubs clean with the Clicgear® Towel. 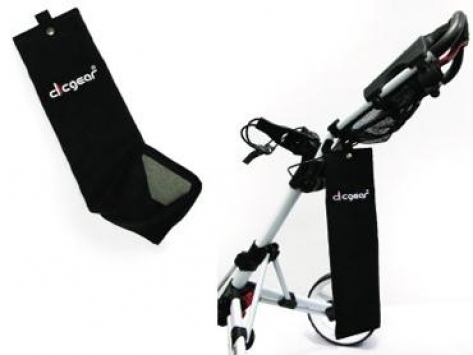 The Clicgear® Towel is designed to snap right onto your Clicgear cart. The Towel has a built in scrubber cloth and is made from quality microfiber material. The tri-fold design saves space and looks tidy on the cart.